Email marketing is one of the oldest digital marketing tactics, but don't count it out just because of its age. It has survived this long simply because it is effective. 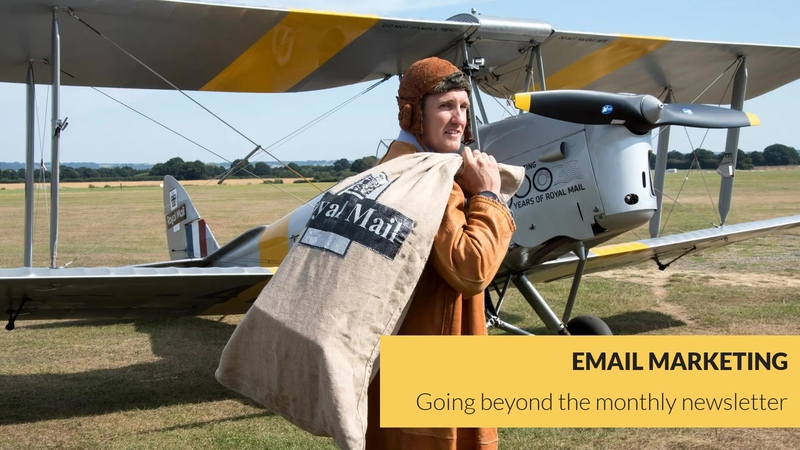 Yes, regulations like CASL, CAN-SPAM and GDPR have changed how we use email marketing but no more so then how our customers and prospects want to be communicated with. While the strategy and tactics of email marketing are always evolving it is still the only marketing channel you have 100% control over, making it one of the strongest assets you have in your lead generation and customer acquisition tool bag. In this edition of the Marketing Peer Group, we're going to walk through email marketing best practices, how to effectively measure your results, and how to improve key metrics like open rates and click-through rates. Hello and welcome to the Marketing Peer Group session on email marketing. 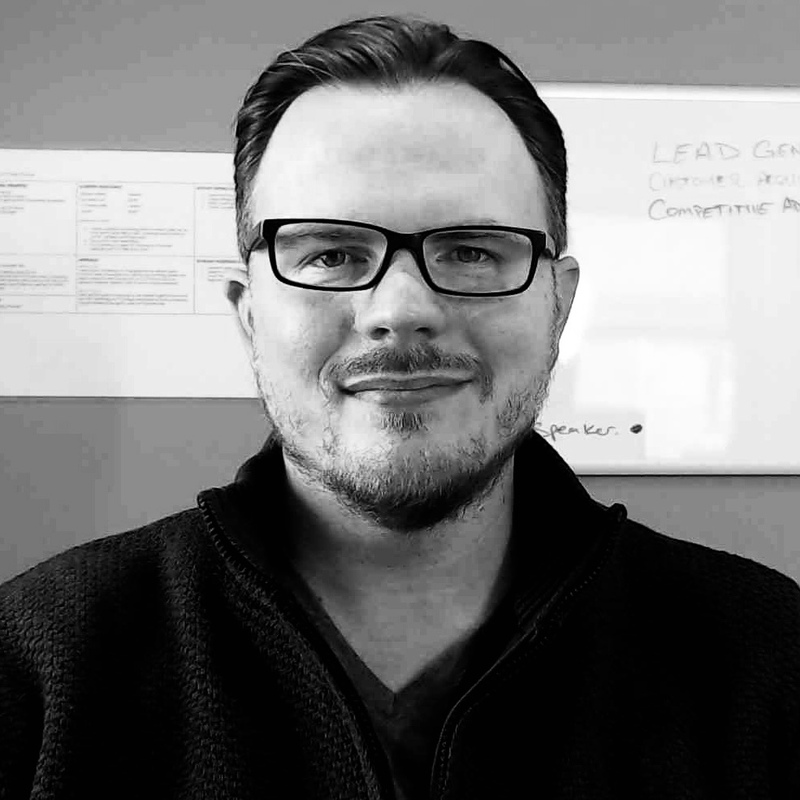 My name's Kevin D'Arcy, President, Founder, and Chief Marketing Enthusiast with ThinkFuel Marketing, and today we're going to talk about going beyond the monthly newsletter. And really, what our objective is today is to break our old habits of email marketing in order to maximize the effectiveness of one of the most powerful marketing tools at our disposal. Email marketing is not dead. It's one of the few marketing channels that we can use to build an authentic connection with the humans that keep our businesses alive, so let's hop into it. First, we want to look at a couple stats here that might open up your eyes as to why email marketing is important in the world of digital marketing today. First and foremost, two-thirds of customers, and that's a combination of both B to C and B to B, have purchased as a direct result of a marketing email that they've received. Additionally, only 20% of the leads that are sent from our website directly to salespeople are actually qualified. That means 80% of the people that we're sending over to sales initially need more nurturing and motivation to move into a sales qualified position for us. So email is one of the most effective ways that we can tackle that. 40 times. That's how much more effective at customer acquisition email marketing is than Twitter and Facebook combined. And 100%, that's the control you have over email marketing. With all the other ones, you're trying to figure out algorithms, best times of day, content that you should be posting, how to optimize it, things like that. 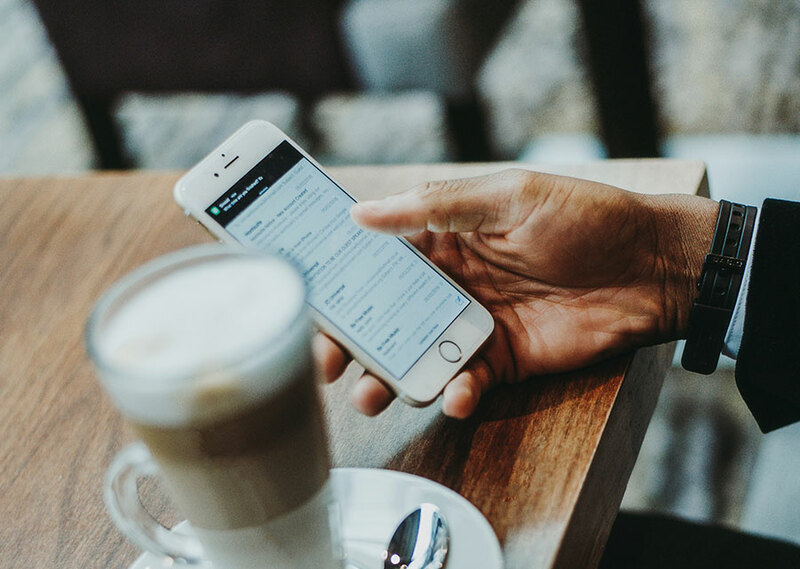 With email marketing, with the exception of compliance regulations, you 100% control over that channel, so you control when your customers hear from you, what they hear from you, and how they interact with it. 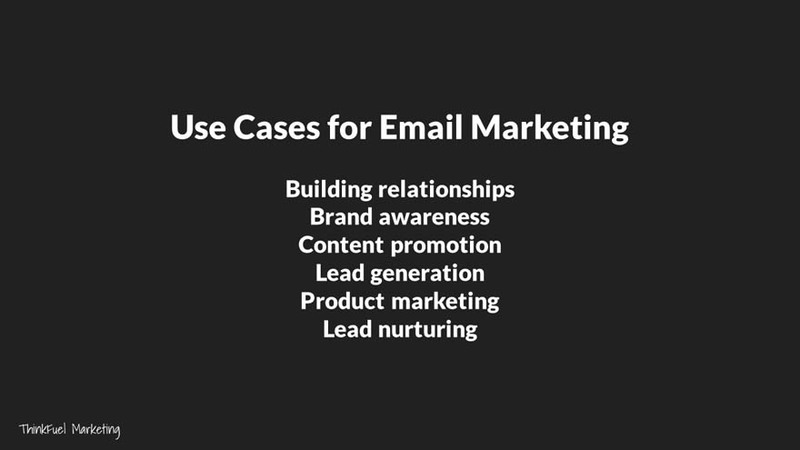 Let's talk about a few different ways we can actually use email marketing. Well, we can use it to build relationships. So people who've already engaged with our brand, we can continue to show them who we are, what we're about, give them that reason to trust us, build some credibility with them. We can work towards brand awareness so that we're always top of mind when they're ready to move forward with a product or service that we offer. We can promote content like our great blogs, or e-books, or infographics, all those types of things, as a way to get that out in front of the people who'd be interested in it. We can use it for lead generation so we can push out towards people who might have an interest in our products or services that maybe we met at a trade show, at a networking event, things like that. We can use it for product marketing, so announcing a new product or service that you're offering. Related products or services, to help upsell customers. And of course we can use it for lead nurturing. Like we talked about on the previous slide, over 80% of the people that we're sending to sales aren't ready to talk to sales yet. 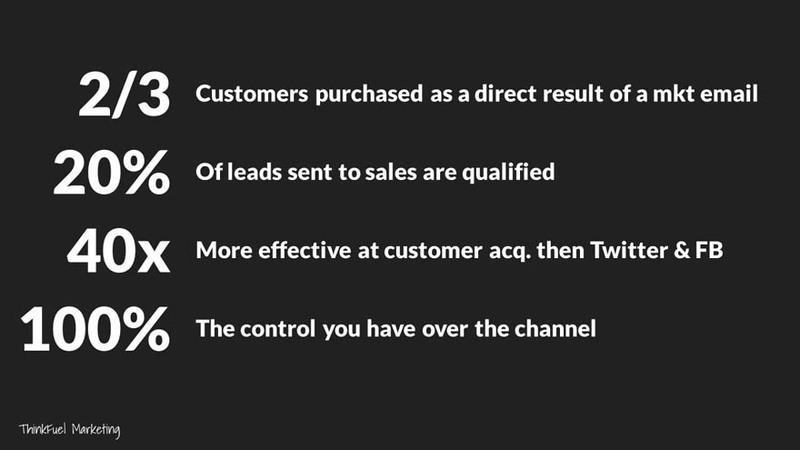 So here's a way that we can use a tool like email marketing to nurture them into becoming sales qualified leads. How are you using email marketing today? Well, if you're like most companies, you're probably just sending out one or two newsletters a month to your entire mailing list, right? 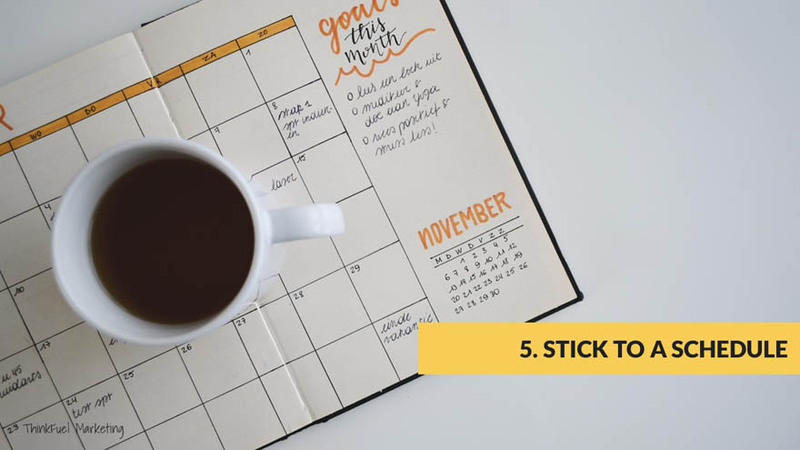 It may promote some blogs that you recently wrote, a piece of content, maybe a promo or a sale that you're running that month, but it's generalized. It goes out to everybody in your mailing list. And what we want to explore today is ways that you can use email marketing as an extremely powerful tool to be more relevant and timely to your customers and your prospects. 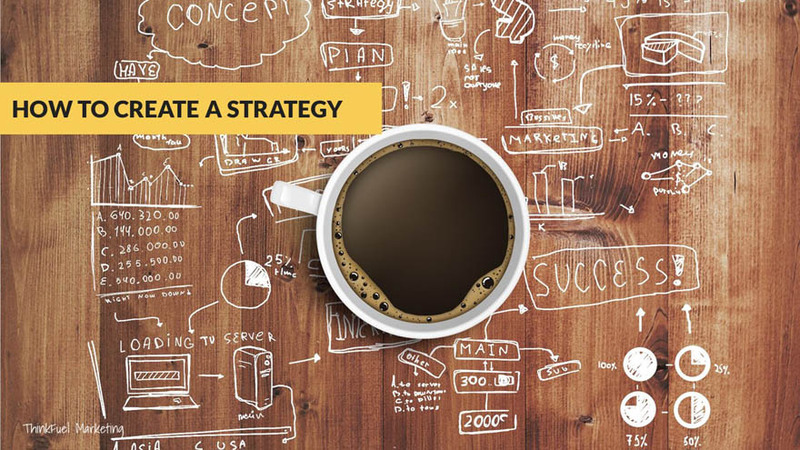 We need to start off with how to create a strategy. 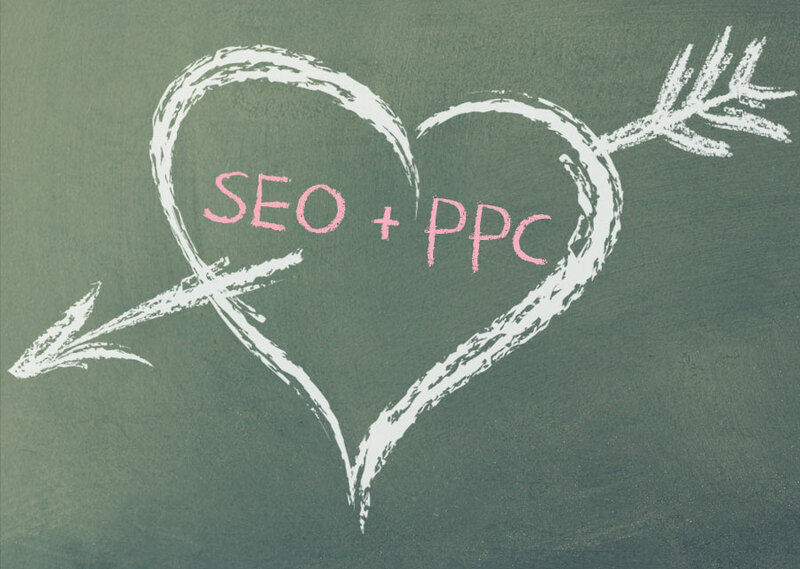 Like anything in digital marketing, we need a strategy to be able to work with it, right? So let's explore how we do that in a few simple steps. One, we needed to find our audience. Like we talked about in a previous peer group session, we need to go back to our buyer personas. Everything starts with the buyer personas. We need to understand what they want and tailor our email campaigns to that audience's need. If you have multiple buyer personas, guess what? That means you're going to have to create multiple emails campaigns to target them. Next we want to establish your goals. So before we come up with our campaign goals, we want to gather some context. We want to research the average email stats for your industry and use them as benchmarking and goals. 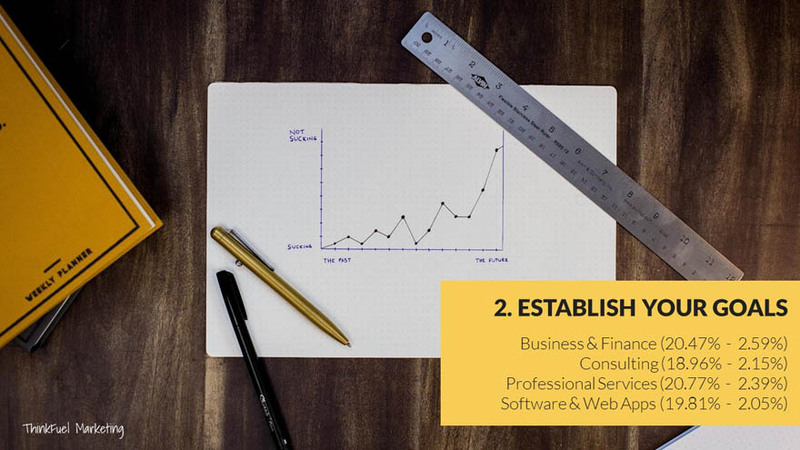 Here on this slide you can see some common industries, business and finance, consulting, professional services, software and web apps. 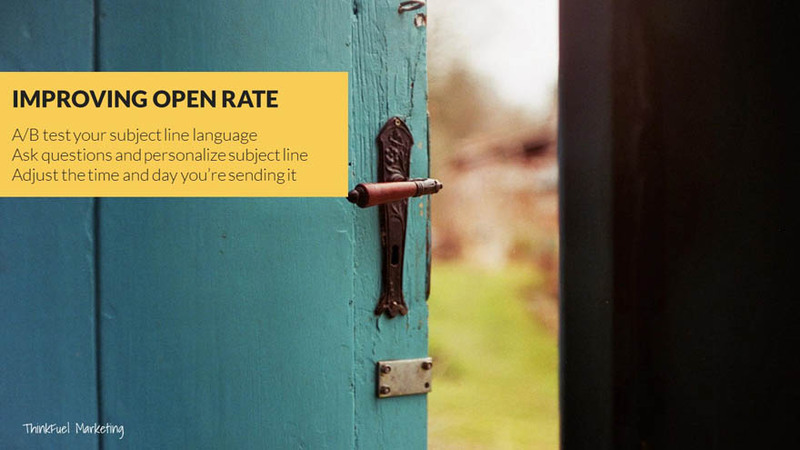 The first number you see there is the typical or the average open rate, so the number of emails sent, what percentage of people actually open them, and the second number you see there is the average click-through rate. So, "How often do people actually click on links within that email?" Really great source for more information on this, if we didn't cover your industry here, is MailChimp. Based on their customers using their system, they update these stats on a monthly basis, so you can see and benchmark yourself against others in your industry. 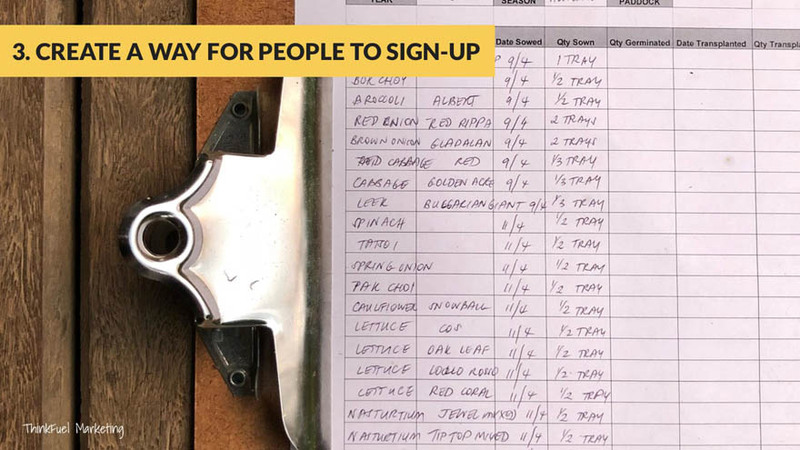 Create an easy way for people to sign up and create a compelling way for people to sign up. So including forms on your website so people can subscribe to your block, giving them valuable content offers like infographics, white papers, e-books, checklists on your website, that they just want to sign up for, then you can get their email address and continue to market to them through email marketing. Best way to encourage people to sign up for updates from your blog and your marketing is write valuable, relevant content to what they're looking to accomplish. Don't always be talking about your products and services. Talk about the challenges, the struggles, and the ways that you can help them address those. 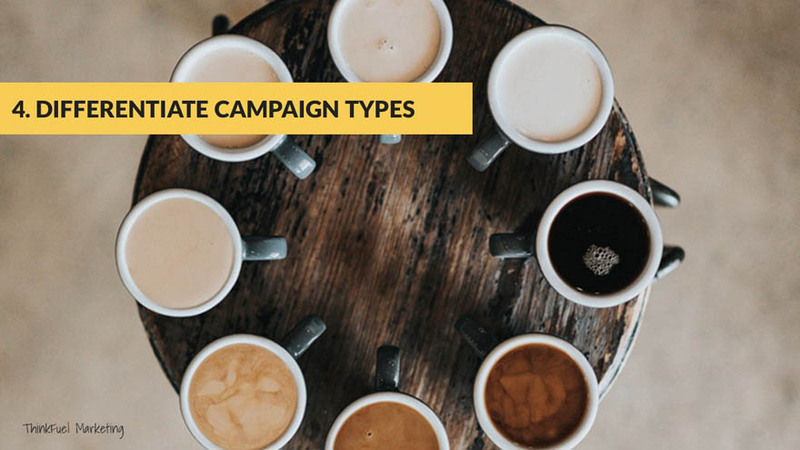 Differentiate campaign types. What do we mean by this? Well, you're going to have, again, going back to our buyer personas, a lot of different types of people that you're going to want to market to, and they're going to want to hear from you in different ways. Some people might be interested in more of that promotional approach to what you have to sell, but if you have a buyer persona that focuses on a technical person or a more analytical person, they're probably going to want to see updates, information, stats, figures, so have different types of campaigns like marketing information, product updates, industry insights, things like that, that people can subscribe to in order to hear from you what they want to hear. Stick to a schedule. Find the best days, the best times that work for your buyer personas, that optimize your open rates and click-through rates and stick to it. Don't just sit around the boardroom table and go, "Oh, you know, we haven't sent anything out for six weeks. Let's do two this week." No, you can't do that. You've got to focus on being consistent so people know what to expect and when to expect it from you. 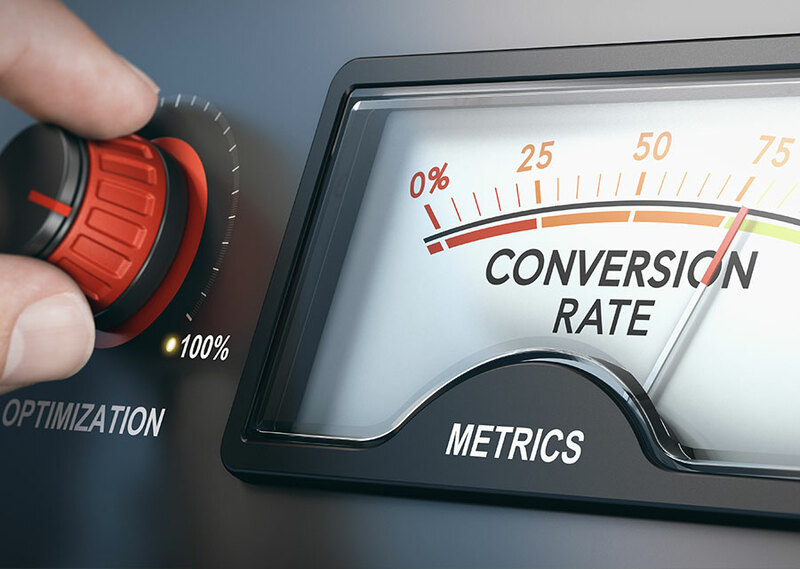 Always measure your results, and we're going to talk about some measurement goals and tactics in a few minutes, but like anything in digital marketing, email marketing is measurable, so continue to monitor it, track it, and adjust to optimize your results. We talked a little bit about building a strategy. Now we want to focus on best practices for email marketing. So here's a couple of quick tips that can help you. Subject line. I always like to use something very clear, actionable and use enticing language that's personalized and aligned with what's in your body. So hey, if you've got their first name and you can work it appropriately into the subject line like, "Hey Dave, here's 10 tips that will help you grow your business," that will help increase your opening rate. Focus on timing. Based on a study that was observed, response rates on over 20 million emails from HubSpot, Tuesday at 11:00 AM Eastern is usually the best time of day to send your emails out. Focus on the copy of the email. The copy of your body as the email should be consistent with your voice, and stick to your brand, and focus on only one topic. And again, make sure it's aligned with your subject. Personalization. Write every email like it's going to be sent to your best friend. Be personable and address your reader in a familiar tone. Focus on that buyer persona, what's important to them. 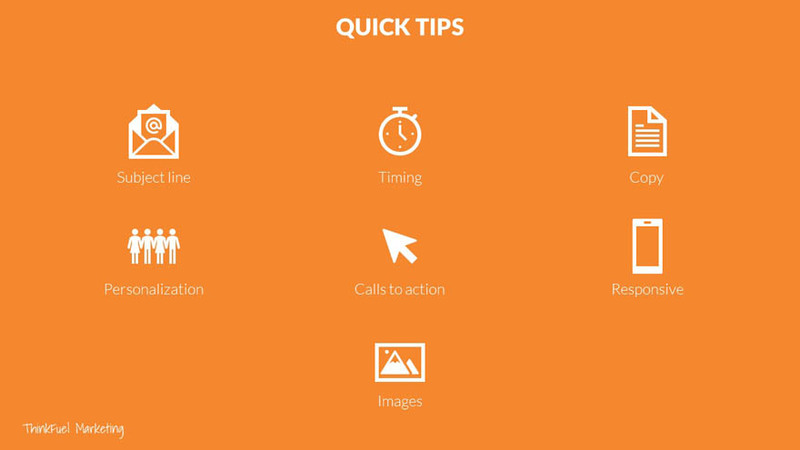 Your calls to action, so the links that you want people to click on, items that you want them to go and download, or videos to go and watch, make sure that they are clear and relevant and stand out from the rest of the email. You can do this by a little graphical button that says, "Click here to watch our video." It could be a text-based link that says, "Click here to register for our event." Responsiveness. Over 55% of emails are now opened up on mobile devices over desktops. What do we mean by this? When you're designing that email template that you're going to use over and over again, test it on mobile. Make sure it looks great on different screen sizes, different resolutions of those screen sizes, everything like that, because people are looking at it on there more than they are on their desktop. And finally, use relevant images. Use images that tie into the buyer personas, the personalization and the copy of your message, that tie it all together and help it make sense. Don't overload your email with images, because then you're going to set off alerts on spam filters and things like that. One or two images that help tie everything together and make it look nice is perfect. Segmentation. Instead of just having one big marketing list for everybody your company knows, break those lists into different groups. By doing this, you can be more relevant to the people that you're sending emails out to, all right? Things like geography, so, "Where are they located? Can we be relevant to their state, their province or country, their city even?" Where they are in their lifecycle stage. We really need to talk to prospects, leads and opportunities much differently than we talk to existing customers. 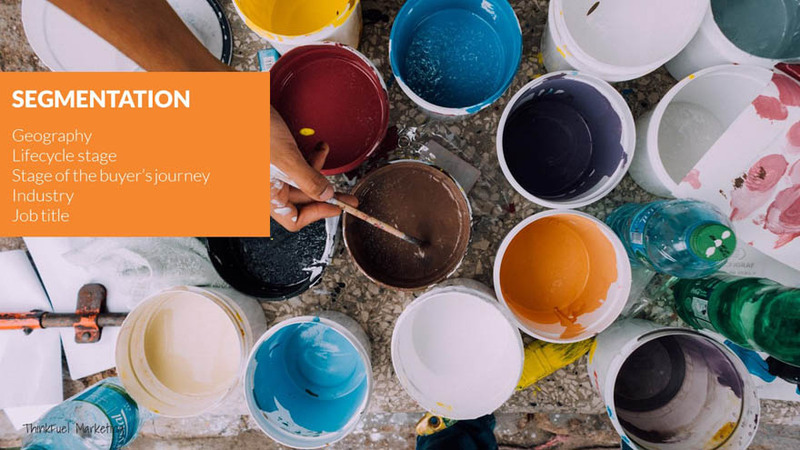 What stage of the buyer's journey are they in? Are they just doing that initial research into a product or service? Are they just considering whether what you sell is a right fit for them, or are they considering which vendor to work with and we have to prove that you're the best? By best, of course, we mean you present the least amount of risk and you're the safe, credible, trustworthy source. The industry that they're in, the job title they have, things like that will help you be much more relevant to the audience that you're emailing, and add some personalization into it. First name in the subject line or the greeting is really, really important. You can include regional specific information. So if you're emailing a group of people who are in Canada, for instance, in October, you might want to wish them a happy Thanksgiving, but if you sent that to everybody, people in the States are going to wonder why you're wishing them a really early Thanksgiving. Be relevant to their life cycle stages, like we talked about on the last slide. Address it from somebody within your organization, whether that's your marketing person, whether that is an account manager. Whoever it is, don't have it come from your company. People want to open up emails from other people, not from companies, so the signature at the bottom of the email, the [inaudible] address at the top should all be from a person. Have, again, relevant calls to action to where they are in the buying cycle, what type of life cycle stage they're at, if they're a customer or a lead, and what they're looking at inside of that content. Next one we're going to talk about in the last kind of tip here is auto-responders and workflows, and these are really, really powerful and they tend to have a much higher engagement rate, open rate, click-through rate than just typical email newsletters or monthly ones that go out to large groups. And auto responders are basically those emails that you get after you download a piece of content or sign up for a demo or a free trial where it's a very linear path, and it says, "Hey, thanks for downloading this white paper. If you need to download it again, here's the link." And then a couple of days later you get something else that guides you towards, you know, better using that demo that you signed up for, or another blog article that might help you out along your discovery, right? Where workflows are much more advanced auto-responders, and what they do is they have a lot of branch conditions and evaluation conditions and the ability to update different tasks where you can easily say, you know, "If somebody doesn't open this email after three days, let's send it to them again." And, "If they click on this link, then let's send them a related blog article to the link that they clicked on." And, "If they go and look at our pricing page, let's schedule a task for the salesperson to give them a call and follow up with them," right? "Because obviously they're getting more and more interested." Auto-responders, again, very linear. 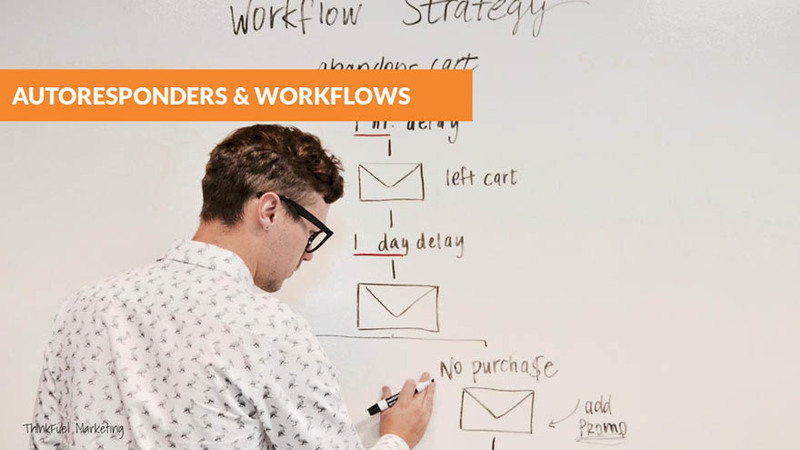 It's one email after the next, after the next, after the next, where workflows have a lot of branches and conditions. A great product for all of this, if you want to have a look at it, is HubSpot. They enable it and make it very easy to do either one of these. Email compliance. We're not going to jump into things like canned spam, GDPR or CASL on today's session because I'm not a lawyer, and you need to talk to your lawyer in your different areas about how you can be compliant and what you need to make sure for compliance and regulations that govern your area, okay? 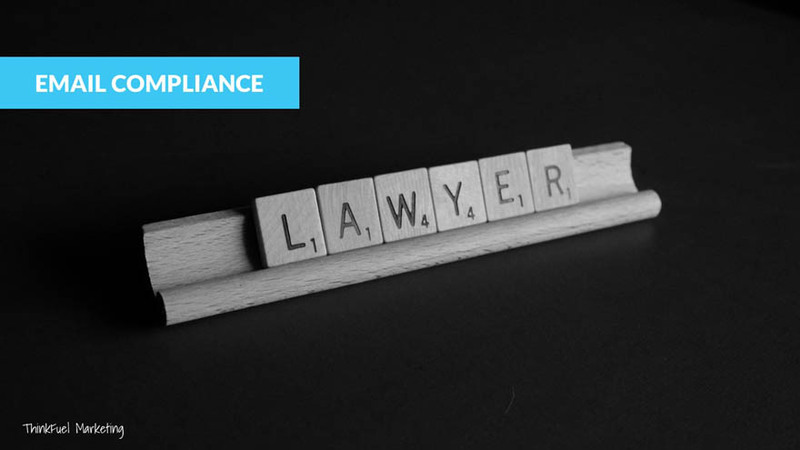 All I'm going to say is that it's extremely important that you do make sure that you're in compliance, because the fines, the penalties can be really detrimental to your business. Castle, for instance, can be millions of dollars worth of fines for infractions. And they don't care if you're a big business or a small business. We talked about some best tips. We talked about building out a strategy. Now let's talk about, when we start sending this content out, how do we analyze those results? Well, a couple of the key performance indicators that we want to focus on is deliverability, open rate, click-through rate, and unsubscribes, okay? Now we're going to jump into each of those in a little bit more detail here. Improving our deliverability. Deliverability is the percentage of people or the percentage of emails that actually make it to the inbox. Not what's opened, but the ones that just don't bounce back to us. Use best practices to avoid spam filters, so things like not overloading them with images. Don't use all caps in your subject line. Don't put 20 exclamation marks after a sentence. Remove inactive people from your list. If people are inactive or are they hard bounce, which means that email doesn't exist anymore, if you keep them in there, one, you're paying to have those contacts in your system, but two, the other part is that they're going to continue to degrade your deliverability rate, okay? Because every time we send it out, those ones are going to bounce again, so our deliverability is not going to be improved over time. How do we improve our open rate? Well, A and B test your subject line language. Most email marketing platforms like a HubSpot, like a MailChimp, things like that will allow you to AB test your subject lines or different parts of your email over together. An AB testing is essentially just writing out two different subject lines that are fairly similar but they have some differences, and then half your audience gets one part, half your audience gets the other one, and you can analyze which one performed better so that you can roll those changes into future marketing campaigns. Ask questions and personalize your subject line. Putting somebody's name in the subject line always helps, improves opening rates. If you ask a really enticing question, they want to open it to learn more. Adjust the time in the day that you're sending it. Like we said earlier, Tuesdays at 11:00 AM is historically the best time, but you might find that your specific customers and target market don't align well with that. So in the beginning, adjust different times of day that you're sending it out until you find that sweet spot where you get a really good open rate and an engagement rate. How do we improve the click-through rate? Well, one, we need to be relevant with our calls to action. Play the devil's advocate. Ask yourself, "Is this call to action clear? Is it understandable? Does it make sense with the rest of it?" I don't like calls to action that say, "Learn more. Read more." Because they don't really tell me what I'm getting into, all right? If I'm promoting a a webinar or an event, then let's have the call to action say, "Click here to register," and try different styles of CTA. Try buttons. Try in-line text links. Try different variations of those calls to action and see which ones your audience relates to best. And improving your unsubscribe rate. You know what? Unsubscribes are not actually a bad thing. I actually think they're a really good thing, because what you're doing is you're weeding out the people who don't want to hear from you. So why should we waste time trying to manage lists of people who don't want to hear from us, and paying for contacts inside these email marketing platforms who don't want to hear from us? 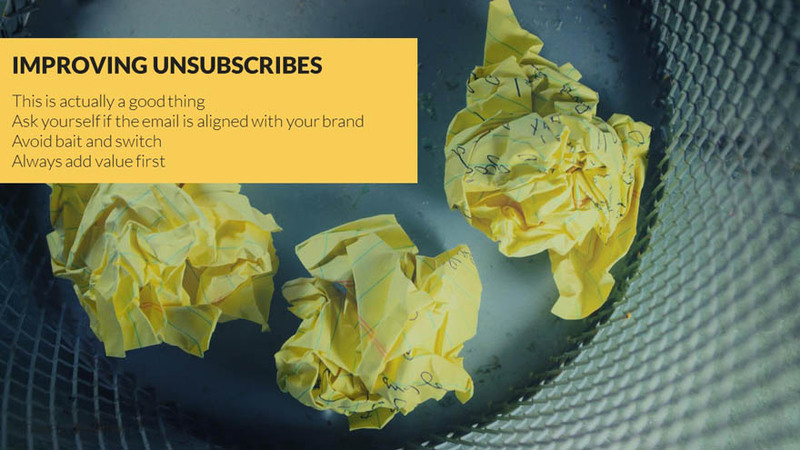 There is, of course, times where maybe our email marketing gets too aggressive or it's not relevant, so we have to ask ourselves, "Is the email aligned with our brand?" Right? "Does this sound like it's coming from us? Does it feel like our company's personality? Avoid bait and switch. Don't write a really catchy email subject line that promotes something and then not show that inside the email address. You'd be surprised how often that happens. Then, always add value first. If you're going to promote a product, a sale, and a great new blog article all in one email, put that great new blog article near the top. Give them something of value that helps educate them and helps grow. And then that way they're going to want to read through. Okay. Let's wrap up today's session with a couple of takeaways and summaries from today's slides. 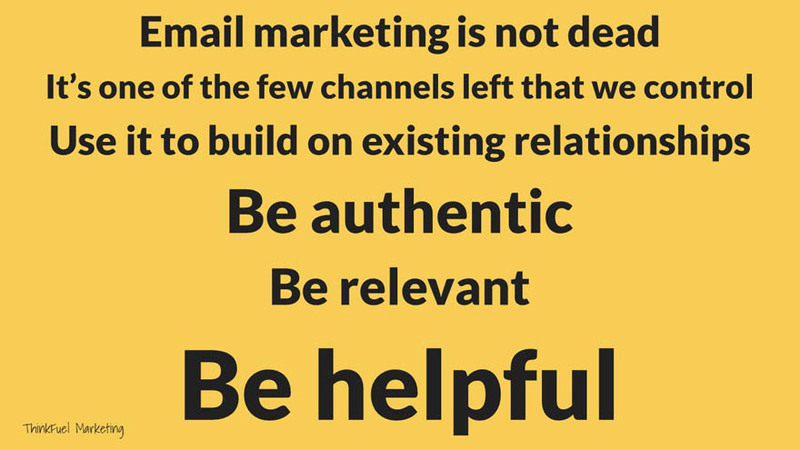 First and foremost, email marketing is not dead. It's still a very effective form of digital marketing for customer acquisition and lead generation. It's one of the few channels left that you have complete control over, with the exception, again, of compliance laws. You're not trying to figure out algorithms, content length, everything like that. You control what people see and when. You use it to build on existing relationships that you have with people so that you can focus on upsell, cross sell opportunities. You always want to be authentic, right? It needs to sound the same as if one of our salespeople or the president of the company was sitting across from them having this same conversation. Be relevant. Go back to those buyer personas, right? What's important to them? How do they measure success? What goals are they trying to achieve? And let's be relevant to those items. And finally and most importantly, be helpful, right? Focus on making their job easier. Focus on making them look good, right? Focus on helping them reduce risk. And when you do all of those things together, people are going to want to engage with your brand. I hope you found this helpful. There's a complete transcript of this down below the video, as well as a form where you can download the slides. Hope you enjoyed it, and thanks very much.